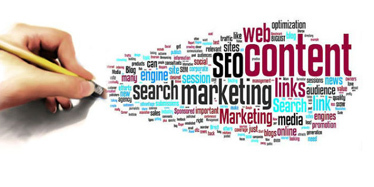 An SEO friendly content is when you create articles for your website that search engines could easily find. People tend to only focus on being optimised on search engines. When the truth is, you should always keep in mind that the contents that you are about to write should benefit your audience. Don’t write content just for the sake of search engines. If you have just started writing contents for your website, it is normal that you will demand for a higher Page Rank and to become visible on the search engines. You surely want your website to get noticed and acquire more traffic, right? Imagine that you have to compete with millions of contents each day. Don’t worry, because in this article, we will provide you some guidelines on how you can write a successful SEO-friendly content for your website. Make it informative and beneficial for the readers The key to writing good contents is to make it informative and entertaining. The more unique and innovative the website content you post on your website, the enhanced visibility you’ll acquire in the search results. Make the content’s thought straight Consider the precious time of your audience and readers. Keep the content short and straight to the point. It’s a hassle for the readers to read contents that are very long but with just a single point. It can be boring for them too and you might lose them once they got bored. Â Â Use and select the right keywords Once you have already performed a keyword research to find out the best keywords for your website, you need to do an On-Page optimisation of this. Include them in your title, meta-tags and the content’s body. But keep in mind to avoid overusing them. Set Your Point of View Almost everyone can surely make an article that’s similar to your topic but its uniqueness depends on the experiences and original thoughts that you will be sharing. It can be great when your readers can relate to your experiences. It will be a lot more engaging. Perform Proofreading Proofreading is very essential for every writers and bloggers. Ensure you always check your grammar and spelling before you publish every post. Also, make sure you spell your keywords right. Implement social media buttons for easy sharing One of the essential points of the process is to make your content shareable. Make sure that you have every important social share buttons on your website so that your readers and audience can easily share your contents. Do you have any tips for writing a great content? Post your comments below.